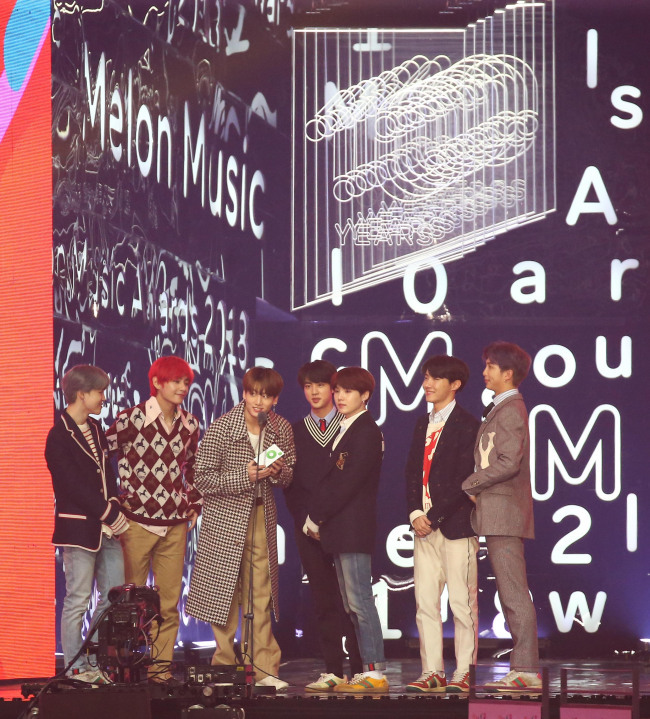 After sweeping prizes at award shows like the MGA and Asia Artist Award, BTS once again won big at the 2018 Melon Music Awards that took place in Seoul. 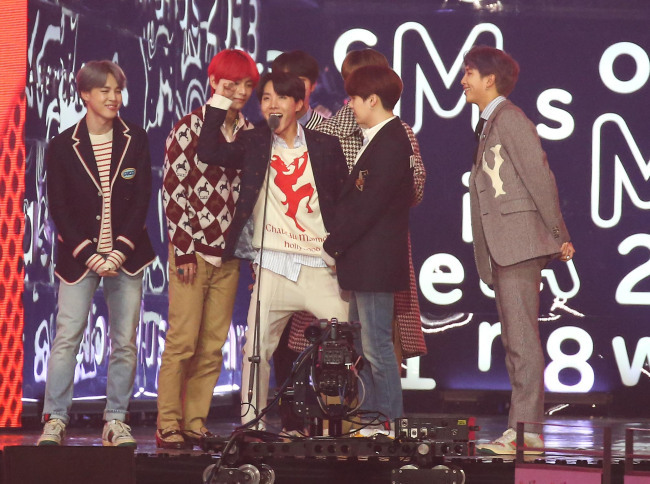 Held on Saturday at Gocheok Sky Dome, the star-studded event in its 10th year saw the “Idol” singers take home seven trophies -- the most for anyone in attendance. The biggest awards of the night went to BTS, which received the best artist of the year award and the best album of the year award for its “Love Yourself: Tear” album. “It’s been a whirlwind of a year. We have gone through so many things since our debut, and we had thought, ‘Why does the world give us only hardships?’ but we realized that those experiences nurtured us. Thanks you so much, and we will keep moving forward,” Suga said. The K-pop phenomenon also took home the best rap/hip-hop award for its mega hit “Fake Love,” and the coveted Netizen’s Choice award, as well as the top 10, Kakao Hot Star and global artist awards. “We feel grateful, as we heard that voting for the award was very competitive. The award goes to you guys, and we will work harder to show you better performances,” Jungkook said. 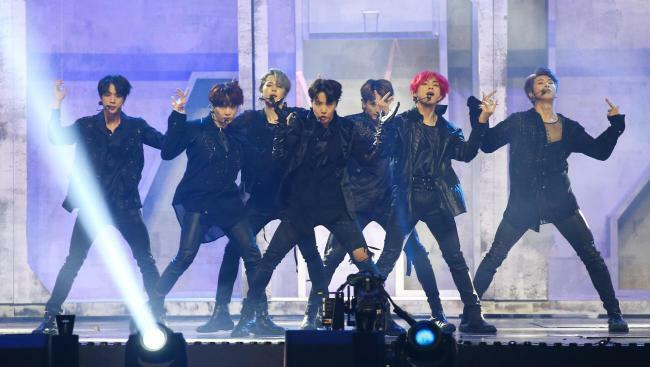 BTS also appeared as the final performers of the event, showcasing “Fake Love,” “Airplane Pt.2” and “Idol” as the finale during which the band donned hanbok. The event also recognized some of the best K-pop talent in 2018.
iKon’s B.I walked away with the best song writer award. Rising rookies (G)I-DLE and The Boyz were recognized as best new artists, while acts like iKon, Black Pink, Wanna One, Bolbbalgan4, Mamamoo and Apink were awarded top 10 awards.